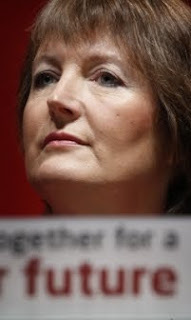 Harriet Harman is trying to wriggle out of a major reform of Parliament – again. Last summer Commons reformers recommended ways to make Parliament more able to challenge Government. They said MPs should set the schedule for what is discussed in the Commons – a power currently held by the Government giving ministers obvious political advantages. This blog reported in the summer how Harman tried to get around this suggestion in order to retain power for the Government, but after reformers protested she temporarily backed down. Today Harman made a second attempt to block the reform by only offering MPs the chance to schedule “non government business” – the less significant stuff that takes place and only about 15% of the total. In fairness, MPs will be offered the chance to elect who sits on and chairs select committees, which is important because they pick through laws proposed by ministers. But if Parliament is to be seen as a bona fide check on the power of Government it must have the power to schedule what it debates. What enraged me most was Harman’s suggestion that people who criticised the Government’s wriggling on this were troublemakers seeking to block reform. She said: “You have got a choice. You can either seek to work with us to make progress or you can get in a huff about the process. It's down to you to choose." Nanny knows best so, don't try to grow up or, you'll do me out of a job.